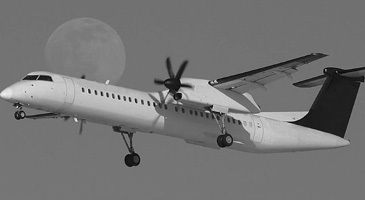 Following Jeju Air, which started budget air service on March 25, 2005, another low-cost domestic air carrier Hansung Air, has been given the green light for its domestic air service from the Ministry of Construction and Transportation (MOCT). 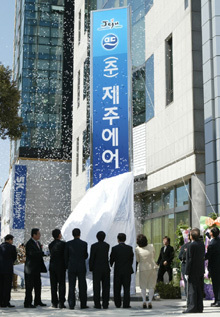 The airline, based in Cheongju, 137 kilometers southeast of Seoul, plans to goes on line on June 27, 2005. 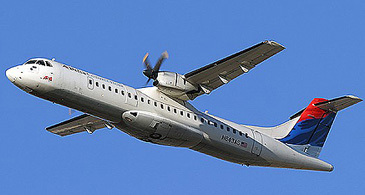 For this, Hansung has leased a 66-seat turboprop aircraft from a French company for two daily flights between Cheongju and the southernmost resort island of Jeju. Jeju Provincial Government has jointly established Hansung Air with Aekyung Co., which invested 5 billion won and 10 billion won, respectively. The launching ceremony of the new budget air carrier was held in Jeju City on March 25 with Cha Hyong-sok, vice chairman of Aekyung Co. and other prominent community leaders in the provincial city of Jeju attending. With dreams of flying cheap to local as well as international destinations are becoming reality in Korea, passengers flying budget would have to bid adieu to free in-flight beverages or meals which are served complimentary on conventional carriers, however. Although final terms and conditions for air fares and mileage service are yet to be made public by Hansung, its air fares are most likely to be set in the range of some 30 to 60 percent lower than those of Korean Air and Asiana Airlines. A round-trip ticket between Cheongju and Jeju is likely to cost around 100,000 won (US$99.2), Hansung said. In due course, Hansung Air plans to serve short-haul international air service to China and Japan. Reacting sensitively to newly emerging low cost domestic air carriers, Cho Yang-ho, president of Korean Air said that his company may consider establishing a subsidiary of low cost air carrier, if necessary, to tap the growing number of budget travelers.